Browse: Home / 2014 / February / 21 / Found in Translation symposium_May 1-2_registration open! 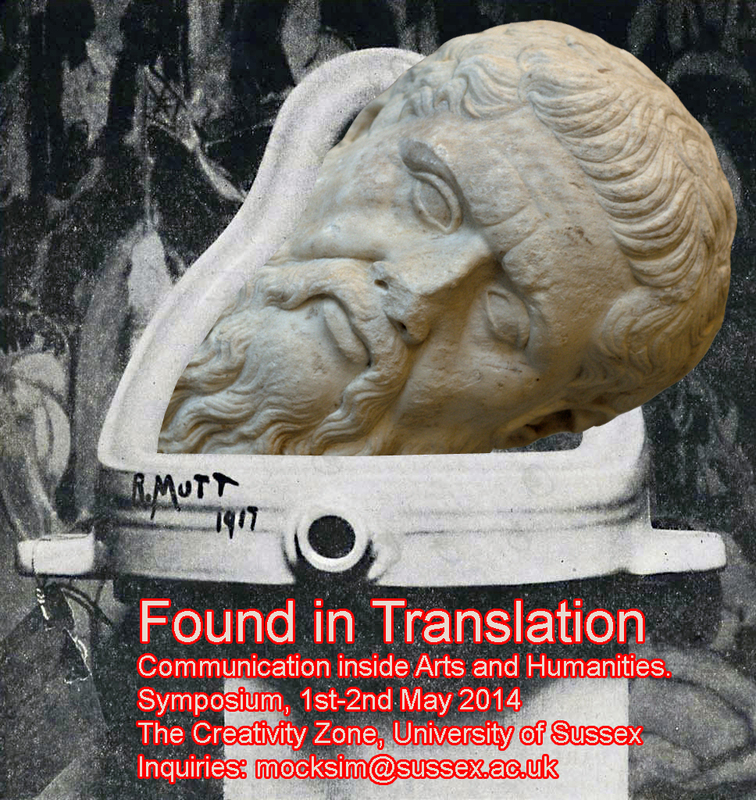 Found in Translation symposium_May 1-2_registration open! 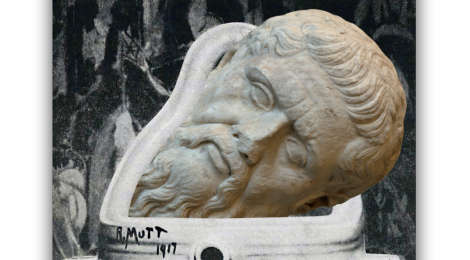 The symposium is oriented towards both arts practice-led and humanities based research students as well as faculty, working practitioners, artists and professional creative organisations. The initiative was instigated by Creative Critical Practice Research Group (CCPRG) based at University of Sussex through discussions with Professor of Performance Technologies, Sally-Jane Norman, and is hosted by the Attenborough Centre Creativity Zone, which is providing key resources for FIT. The symposium also benefits from support and endorsement from the open access academic platform REFRAME, doctoral students from the University of Sussex, Royal College of Art, Universities of Brighton, West London, Glasgow, linkages with the University of Dundee, the Consortium for the Humanities and the Arts Southeast England (CHASE) and additional funding kindly provided by the University of Kingston. Taking its cue from attempts by entomologists to transcribe the sounds of insects as musical notation an exploration of the ends to which sound and image are used to encode each other. Led by Justin Grize with Daniel Hignell. Adopting a hands-on technical approach, transducers/transduction will be explored in their relations to translation. Led by Joe Watson with Danny Bright. Translating a multidisciplinary practice into sensuous knowledge, lending itself to potentially conflicting literacies and interpretations. Led by Nanette Hoogslag with Cecile Chevalier and Evelyn Ficarra. Artist Micheál O’Connell and composer Stace Constantinou use their experience of working together on a joint exhibition Trainofthoughts (The Horse Hospital, London 2012) as case study. Reflection on scholarly video-making practices using existing film and moving image footage in creative critical contexts, and on possibilities for peer-review, publication, academic reception and teaching of such work. Led by Dr. Catherine Grant with Dr. Ian Garwood and Frances Hubbard.